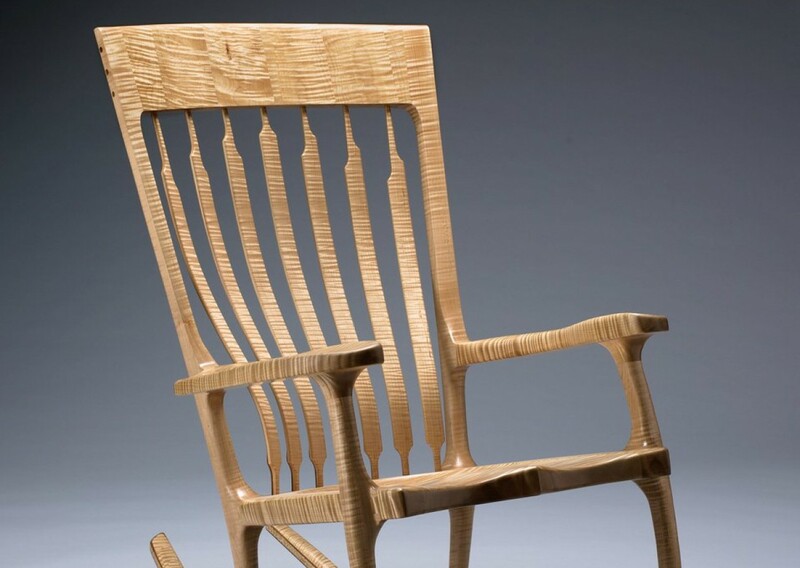 Specializing in sculpted rocking chairs and custom furniture. Let me work with you to create furnishings that meet your specific design needs. Any of the designs in my gallery can be recreated as shown or with a variety of different wood combinations. Feel free to e-mail me with questions, ideas, or photos of your living space. If you live in the area, I would be happy to come to your home to plan the piece with you. My furniture has a lifetime guarantee for as long as you or your family owns one of my pieces. I accept personal checks, certified checks, or money orders. Shipping and handling are additional to quotes. I can ship anywhere in the continental US and Canada or where ever one can drive, fly, or sail. Shipping costs will be determined accordingly.